Hello Kitty fans, here's a deal that you don't want to miss. 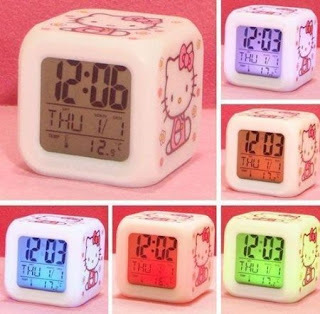 Right now, Amazon has the Hello Kitty LED Alarm Clock for ONLY $4 Shipped. I'm picking this up to put away for next Christmas. My oldest daughter is a HUGE Hello Kitty fan. Can't pass up this GREAT BUY!